Q1: Can I purchase your products online? Yes. You can visit our Amazon store and choose your products! Makeblock will provide express delivery service where such are available. If you have any related questions, please feel free to contact us at [email protected]. 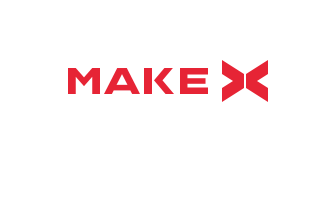 If you like Makeblock products and would like to become a Makeblock distributor for your local market, please send an email to [email protected] for understanding relevant procedures and requirements. Please specify your location and include a brief introduction of your company, and a sales representative for your region will contact you. 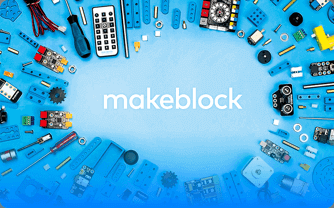 Q1: Who is Makeblock products suitable for? Kids, parents, educators, DIY lovers, makers and anyone who is interested in robotics or STEAM education. Q3: What ages are your products suitable for? Q2: Do I need prior experience to use your products? No. Our products are designed with beginners in mind. Our programming software is made up of colorful and modularized drag and drop code blocks. Children can gain a sense of accomplishment as they are able to easily program the robots without writing learning complex and abstract programming languages. Q4: Do you provide after-sales service for damaged products? Yes. Makeblock has a dedicated after-sales service team that provides customers with a range of services, for which you can find detailed information on the Warranty Information page. Q1: Why do the propellers stop spinning? 1. Poor contact: The propeller modules may not be properly attached to the main module. Check if there is large gap between the modules or if there is any foreign matter between their contact surfaces. Check if the contact points of the metal probe have oxidized or been damaged. 2. Failed Bluetooth connection: Use the makeblock app to re-establish the Bluetooth connection. 3. Motor axis is stuck: Check if any foreign matter is tangled on the axis, and remove it. 4. Incorrect setting: Every propeller module port is assigned a number when attached to the main module. When you program the modules in custom mode, and if they do not respond, check if the port number is correct in the app. Q3: Why does the power supply indicator not light up? 2. Poor contact: Battery is installed upside down or in the incorrect location. Re-install battery correctly. 3. Static electricity: Static electricity may cause an abnormal shutdown. Try to remove the battery and re-install. After connecting to the unit via Bluetooth, click the Settings icon in the makeblock app and then select Firmware information to view the current version number. If there is a newer version available you will be able to upgrade your firmware. If a firmware upgrade fails, try upgrading again after re-connecting via Bluetooth. Q2: Why is the flight direction not consistent with my controls? 1. As a drone: Follow the user manual to see if the red light on the head module is in the wrong position. If yes, reassemble by referring to the manual. 2. As a hovercraft: Check with the user manual to see if the master controller module is installed in the wrong direction. If yes, reassemble by referring to the manual. Q4. Why is my Airblock unable to take off? 1. Low battery: You can check the power supply level in the app after connecting to your phone. If the battery falls below 20%, please charge the battery. 2. The protective covers have not been removed: The protective covers must be removed in Aircraft mode. Protective covers should only be used for Hovercraft mode. 3. The power module is installed in the wrong direction: Check all power modules and make sure that the pads are facing downward. 4. Incorrectly installed modules: Red propeller modules should be connected to ports 1, 3, 5, while Black propeller modules should be connected to ports 2, 4, 6. Q1: How do I upload code to my computer if I don’t have the Bluetooth Dongle? You can use a USB cable to upload code. There’s a USB cable included in every package. 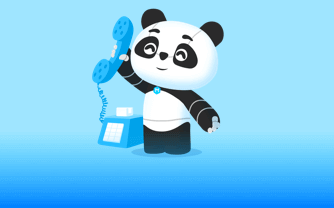 Q3: Can Codey Rocky be connected to mobile devices over Bluetooth? Q2: Can Codey Rocky be connected to the computer with other brands of Bluetooth dongles? We do not recommend using non-Makeblock dongles as it may cause problems due to compatibility issues. Q4: Can Rocky be used alone? No, Rocky must be used with Codey, as Codey provides it with power. 1. To connect via Bluetooth, you need a Bluetooth block connected to the Power block or a USB cable. 3. Hold your mobile device close to the Bluetooth block to connect. If this does not work, tap the “Connection list” button and tap the device name in the list. The name should start with “Neuron_”, followed by a unique number. 4. Check if the Bluetooth name is in the list. If not, please click Refresh. 5. After you have found the Bluetooth connection, tap it to connect. Q3: What should I do if the blocks do not respond? A1: When not using the Makeblock Neuron app or mBlock software, the input block must be attached to the left side of an output block. Please refer to the Easy Connection section to check if the connection is correct. A2: If you have previously tried to upgrade the Neuron firmware and the process failed, that may be the cause. Please try to upgrade the firmware again. A3: The silicone case of the block may have been installed improperly, which causing poor connectivity. Please adjust the silicone sleeve to achieve proper fit. Q5: Where can I find more instructions? Q4: Why has the battery life decreased since I bought my Makeblock Neuron? The Power block uses a lithium-ion battery, which naturally degrades after a number of charging cycles. 1. mBot comes in two versions: mBot (Bluetooth) and mBot (2.4G). If you want to add 2.4G connectivity to your mBot (Bluetooth), you can do so by purchasing a 2.4G add-on module. 2. To add Bluetooth to your mBot (2.4G), purchase the Bluetooth add-on module. Note that only one of the wireless connections can be used at a time. Q3: My mBot is not able to avoid obstacles. How can I fix it? 1. Make sure that the Ultrasonic module is connected to Port 3 on the mCore board. 2. Double check if the Ultrasonic module is securely connected to the port. If it still fails to avoid obstacles, check if the wires or the module is damaged. 3. Ensure that the red indicator light on the Ultrasonic module is on. If not, reseat the module and ensure that it is securely connected. By default, the lights on the mBot’s mainboard are green when in obstacle avoidance mode. If not, you are not in the correct mode. You can switch mode by pressing the black button on the mainboard or by using the IR remote controller. Q5: Why can’t I control my mBot with the IR remote controller? 1. Check whether the IR remote controller’s batteries have sufficient charge. 2. Check that your mBot is running factory default settings. If not, please reset it to default by using the latest version of mblock 3. 3. The IR remote controller may not be functioning correctly. If the mBot’s indicator lights are not on when using the remote, please refer to Q6 below to troubleshoot it. 4. When the mBot is in IR remote control mode, the lights on the mainboard should be white. If not, it is not in the correct mode. You can switch the mode by pressing the black button on the mainboard or by using the IR remote controller. Q7: How do I reset my mBot to factory defaults using the latest version of the mblock 3 software? Step1: Download the latest version of mblock 3 software from this link and install it on your computer. Step2: Power off mBot and then connect it to your computer with a USB cable. After connecting, please remember to turn on your mBot. Step3: Open mblock 3 and in the Toolbar menu, choose Boards –> mBot (mCore). Step 5: Click on Connect -> Reset Default Progam in the Connect menu, and wait until it shows Upload Finished. 1. Before resetting to default firmware, you will need to install a driver for your Mac. Click this link to download the driver. 2. When choosing Serial Port in the Connect menu, choose the port with a name similar to /dev/tty.wchusbserial1410. To view more mBot FAQs, please click here. Q2: Why does mBot diverge from its path when going forward or backward? 1. Check if the cable is pushing against one of the wheels. It will slow the speed of the wheel, causing the mBot diverge from its path. 2. The built-in software may not be working correctly. 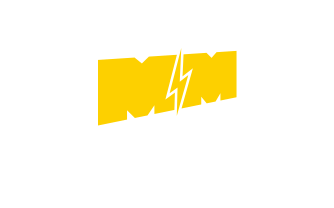 Try resetting your mBot to its default state using the latest version of mblock 3. 3. Its battery charge is low. Replace the AA batteries or recharge the lithium battery. According to our own tests, we recommend that you use a rechargeable lithium battery, a NiMH battery, or an alkaline battery from a known producer, for example Energizer or Duracell. Q4: When I tell my mBot to move forward or to the right, it moves backwards or to the left. How can I fix this? 1. Swap the place of the M1 and M2 interface cables that are connected to the motors. See if your mBot is now moving according to your controls. 2. If not, reset your mBot to default using the latest version of mblock 3. Q6: How can I tell if my IR remote controller is broken? Step 1: Make sure the IR remote controller is equipped with correct batteries. Step 2: Turn on the camera of an Android-based phone. Step 3: Aim the infrared light of the IR remote controller toward to the camera. Step 4: Press a random button on the IR remote controller to see if a red light is emitted from the controller. If yes, the IR remote controller is functioning. Q1: Why doesn't my mBot Ranger respond when powered on? 1. The supplied voltage may be too low to run the robot. Please charge the battery or replace with a fresh one. 2. The wires of the Motor Connector may be broken. Please try to replace the wires with new ones. 3. Try to reset your mBot Ranger to factory defaults by following the steps in Q5. Q3: How do I know when the robot needs a new battery? 1. If the Land Raider or Dashing Raptor moves very slowly or restarts itself while turning or bumping against objects. 2. If the Land Raider or Dashing Raptor remains motionless even if you set the motor speed to high speed. Q5: How do I reset my mBot Ranger to factory defaults? Step1: Download the latest version of mblock 3 from this link and install it on your computer. Step4: Click on Connect -> Reset Default Program in the Connect menu, and wait until it shows Upload Finished, then remove the USB cable and power on your Ranger. Q2: When I control the Ranger to move forward or right, it moves backwards or left. How can I fix it? 2. If not, reset your mBot Ranger to factory defaults using the latest version of mblock 3. Q4: What can I do if Self-Balancing Car doesn't work normally (for example, if it fails to balance or doesn’t smoothly respond to commands)? 1. Please check if the battery charge level is sufficient; if not, replace it. 2. Please check if the Self-Balancing Car is correctly assembled. Confirm that all the wheels are assembled correctly and that there is nothing obstructing its movements. Q1: Why doesn’t my robot respond when powered on? And why does it restart when using its motor drive? 2. Make sure you’ve uploaded the correct software or firmware for your robot. 3. Please check whether your robot’s motor has been properly connected. 1. Please check if the driven wheels are correctly installed. 2. Please adjust the bearings of the driven wheels to make sure they are not too tight or too loose. 3. Please make sure the encoder disk and the interface of the photoelectric switch are separated from each other. Q5: How I reset my Ultimate2.0 to factory defaults? Step4: Click on Connect -> Reset Default Progam in the Connect menu, and wait until it shows Upload Finished, then remove the USB cable and power on your Ultimate 2.0. Q2: When I control my Ultimate 2.0 to move forward or right, it moves backwards or left. How can I fix it? 2. If not, reset your Ultimate 2.0 to factory defaults using the latest version of mblock 3. Q4: Why can’t I connect the app with the robot via Bluetooth? 1. Please check if your smartphone is compatible with the app. 2. Please try to restart the app or your Ultimate 2.0. Q6: Where can I find more building tutorials? Find more building tutorials on learn.makeblock.com/ultimate2/ .